Holy crap — that’s commendably twisted. 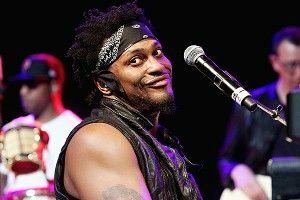 Hopefully it works out, of course, and Questlove gets his way, and D’Angelo’s comeback album wins 10 billion Grammys. But if the Bonnaroo reaction wasn’t quite enough to get our dude to let his music go, perhaps we should form a contingency plan? OK, here’s what I got: Let’s mobilize a force of D’Angelo superfans, willing and able to to hang out outside this guy’s house shouting hosannas 24-hours a day, and keep them on retainer, utilizing them only if D’Angelo’s spirits seem to be flagging. You know, just in case.